Babies can appreciate music even when they’re in the womb. Seeing Autumn enjoy dancing to music is one of my favourite things. In recent months, we’ve made the move onto playing musical instruments together too. This is a brilliant way to help develop their language and listening skills. We’ve been hitting saucepans with wooden spoons and shaking rice in bottles for a while as well as attending various classes. 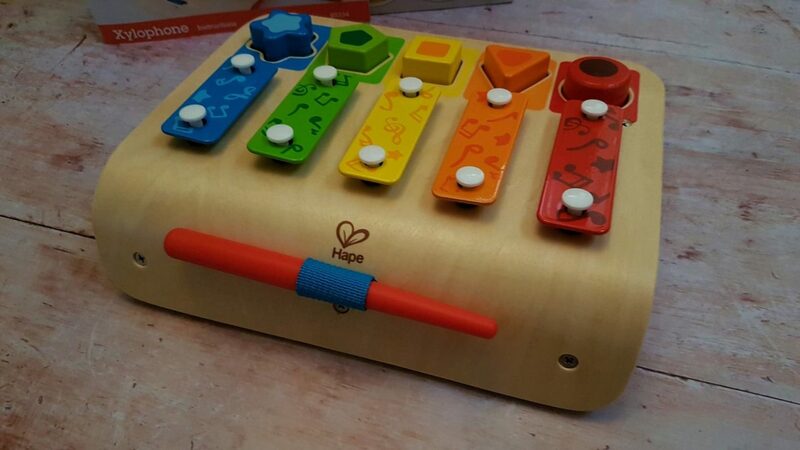 However, Autumn’s first ‘proper’ instrument was a xylophone kindly sent to us to review. One of the best things about this beautifully made xylophone is that it’s three things in one. There’s the xylophone, the shape sorter and a piano. As well as playing the xylophone with the beater that is stored snugly on the side, there are five shapes alongside. These can be pressed like a piano or taken out and used as a shape sorter. The bright colours are very appealing and Autumn enjoys each element of play. The xylophone is lovely to make little tunes on, which always make Autumn smile. The fact the keys are apart rather than immediately next to each other creates a little difficulty sometimes. She misses the key with the beater and it goes down the gap. However, I’m sure this will only serve to help her coordination skills and she doesn’t seem frustrated by it. The design of stars and musical notes on each key is a nice touch. Meanwhile, the beater is stored neatly in a coloured elastic loop on the side. When we first received the xylophone, the piano was Autumn’s favourite part. She didn’t quite have the coordination she has now, so it was easier for her to press the shapes than it was to hit the xylophone keys with the beater. They make the same notes as their corresponding coloured keys, only louder, which I think is also part of the draw for her. The shape sorter is probably her current favourite part. With a star, pentagon, square, triangle and circle, there is a good variety of shapes. We discuss the shapes she’s holding with her, so this will hopefully help to set down the foundation of her learning about shapes. 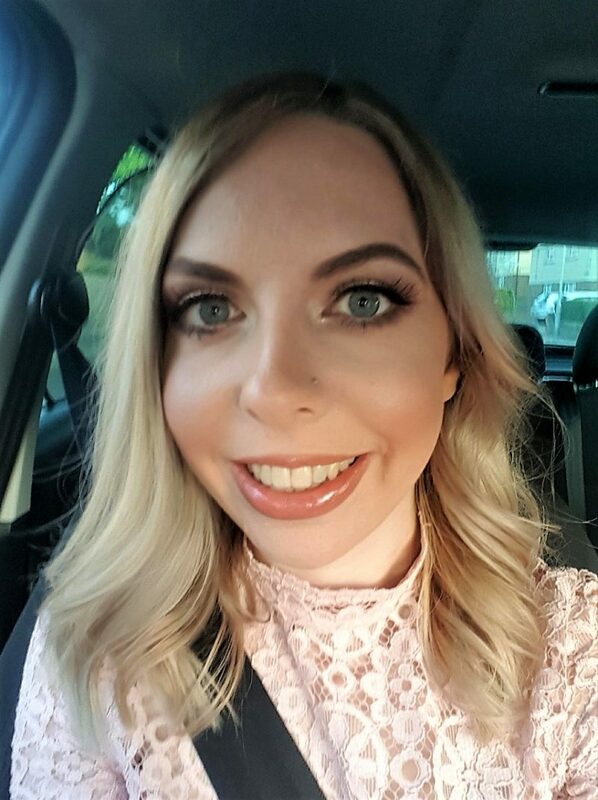 We also discuss the colours with her and she’s actually just started saying the word ‘blue’, although I’m not 100% sure if she recognises what it means yet. Autumn enjoys taking all the shapes out and putting them back in again, which often makes a note play. Recently, my husband accidentally tidied one of the shapes away into her tub of building blocks. When she opened it the next day, she was clever enough to realise that the shape didn’t belong with them and found the xylophone to put it back into its correct hole. It’s great to see that she’s learning even beyond my expectations with this toy. The xylophone looks and feels brilliant quality. It is sturdy and I’m sure will still be in almost perfect condition when it’s passed down to the next set of little hands. This may take some time though, as this is suitable from 12 months onwards but I’m sure Autumn will enjoy playing with it for at least the next couple of years. The packaging itself also felt very nice quality, so it would make a lovely gift! 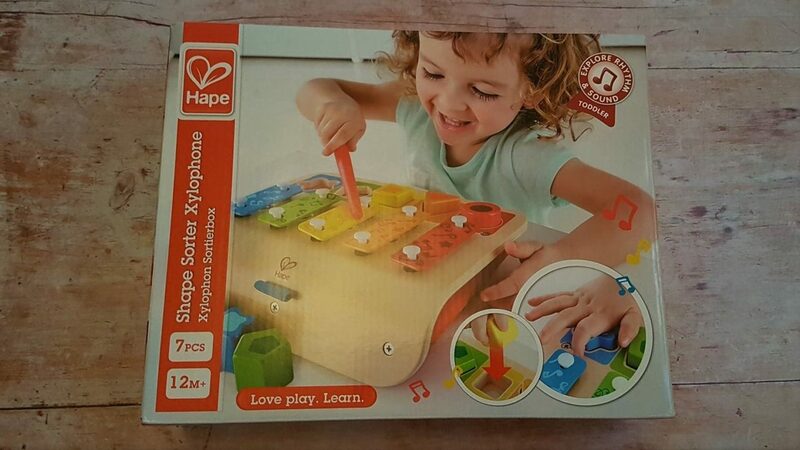 Disclosure: I received a Hape Shape Sorter Xylophone for the purpose of this review. As always, all views and opinions are honest and my own.